I made charcoal soap before but this time I wanted to go more to the extreme and focus mainly on the properties of this ingredient. 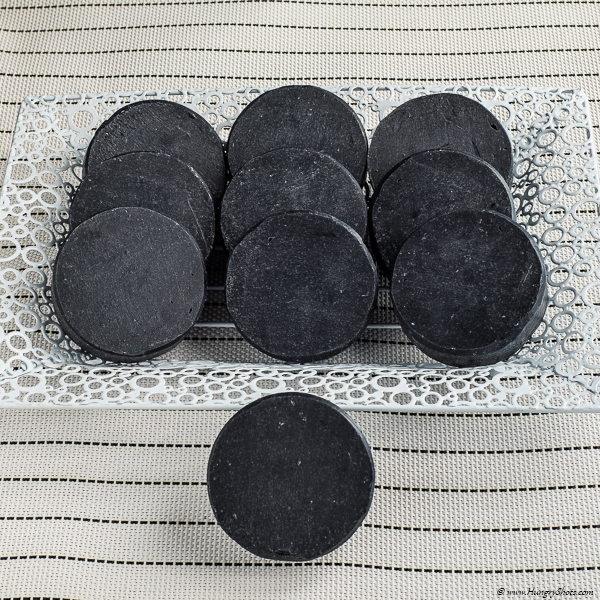 I had in mind a soap dedicated for cleaning the face and activated charcoal is well known for this. In addition, instead of using pure water as liquid, I used chamomile tea combined with aloe vera. Chamomile tea is recognized as being anti-inflammatory and anti-septic and helps fading spots. The same, aloe vera gel has heealing and anti-inflammatory properties that reduce skin inflammation. What else would you like for a face soap ? The lavender essential oil brings a relaxing mood and also contributes to killing bacteria.